One of the best ways to keep your head above water is to have organizational systems in place for all the areas of your life. Today, I'm going to share my recipe organization. 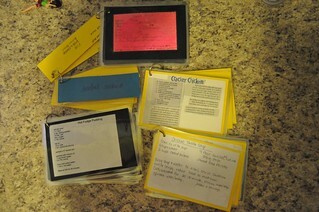 I took all of my recipes and placed them on 4 x 6 index cards. 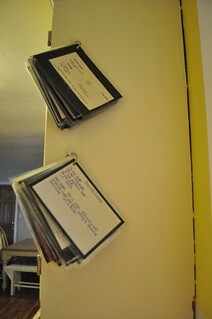 Then, I mounted them to cardstock. I used blue and yellow for my mains, and black for sides and desserts. I then laminated them. I grouped them together with binder rings. They are now easy to access and laminated so my little spills don't ruin them. I can add new recipes easily, keeping them all in the order I want. 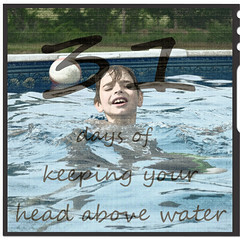 Keeping my recipes organized makes cooking easier and is one way I Keep My Head Above Water.